We are an acclaimed name engaged in offering our precious clients a superior quality range of TPR Regrind. 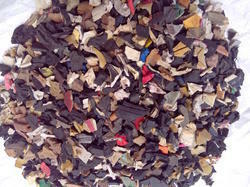 This material comes from shoe sole this scrap is 100% recyclable. The given TPR regrind is characterized for its enhanced durability & quality. As well, this TPR regrind is also checked by our competent quality controllers before supplying in the market. 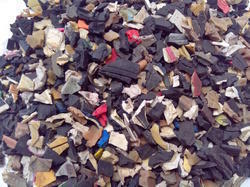 We provide this TPR regrind at nominal price. Being the most respected organization guided by experienced and knowledgeable professionals, we provide TPR Mix Color Regrind. Our given color regrind is manufactured using advanced equipment & techniques in accord with industrial standards. Offered color regrind is carefully examined by vendor’s quality experts to ensure its perfect range. Customers can avail this color regrind from us in a given time frame with quality packaging. Looking for TPR Regrinds ?